To get to the trailhead, drive Route 3 east roughly 1.3 miles from the town of Seal Harbor or west roughly 1.5 miles from the town of Otter Creek to the intersection with Cooksey Drive. 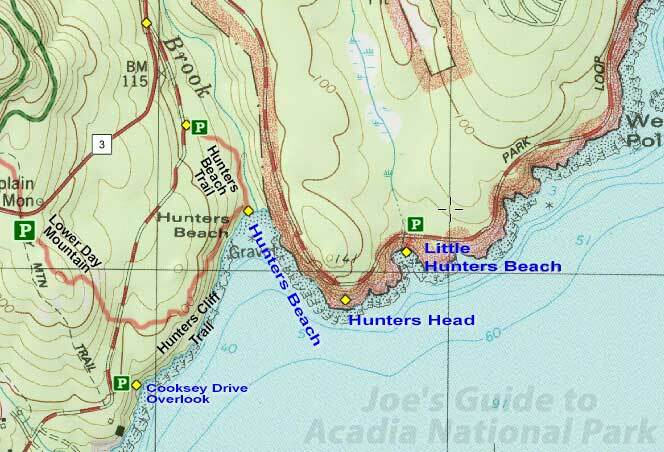 The trailhead to Hunters Beach is located roughly .2 miles down Cooksey Drive and the Cooksey Drive Overlook is located roughly .8 miles down the road. Parking is extremely limited (3-4 cars). The trail is very short and easy, but take great care at the cliff's edge as there are no railings or warning signs. 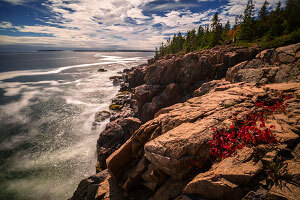 Enjoy the amazing ocean view that rivals spots like Otter Cliffs!